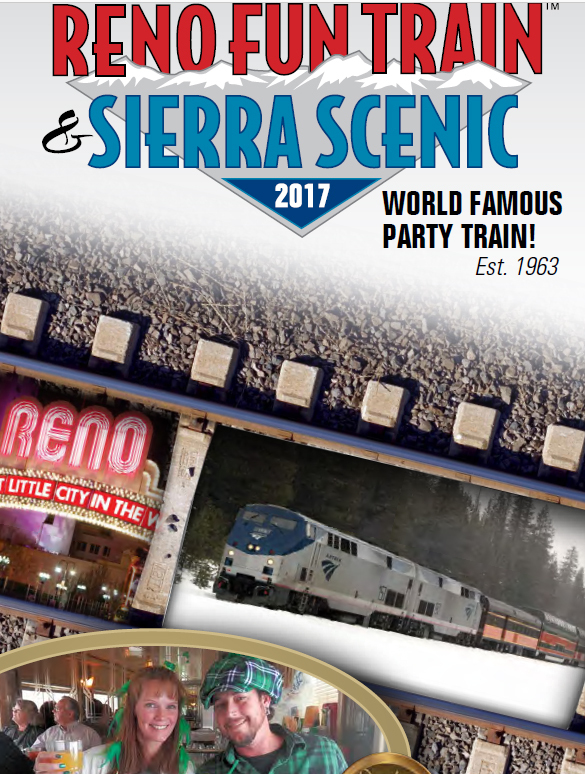 Ride the famous party train from the San Francisco Bay Area through the Sierra Nevada Mountains to the "Biggest Little City in the World" Reno, NV in 2017! Train travel is one of the best ways to experience this great country. Party your way through the beautiful Sierra Nevada Mountains during daylight hours for a weekend of fun. You arrive in the very heart of Reno ready for action. A variety of fine hotels are within easy walking distance of the Reno Amtrak station. Started in 1963 to shuttle gambling hordes up to Reno in winter, the Fun Train grew into a mobile tailgater for 680 people, a 15-car block party, complete with piano bar, live band, strolling performers and a dome car. The service lured riders with stunning scenery, entertainment, cheap drinks (BYOB allowed), as well as an alternative method for crossing the Sierra that doesn't involve snow-choked traffic jams. Ice and glasses are furnished aboard and meals are served at your seat. Feel free to bring your own snacks and beverages, if you wish. Strolling minstrels and dancing to live music add to the festivities. The Cafe/Bar Car offers popular beverages and snacks for sale. Enjoy the entertainment of the Piano Lounge Car. 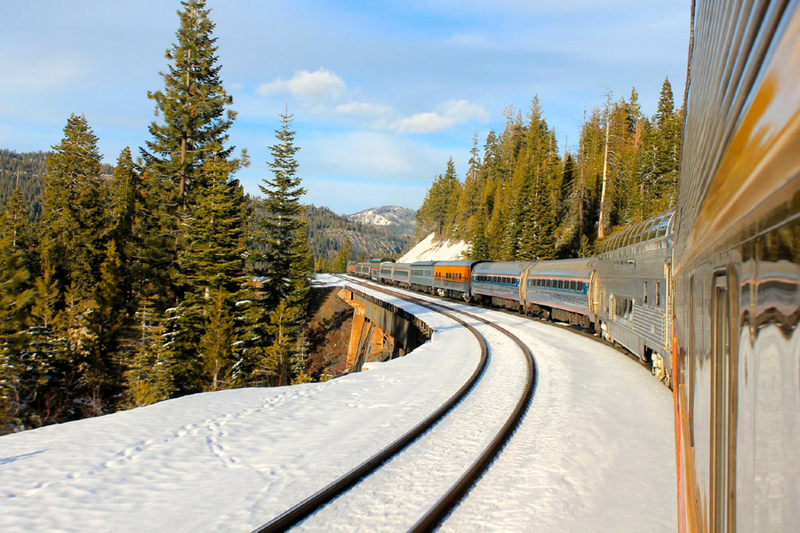 Step aboard the Fun Train and treat yourself to a great winter weekend getaway to exciting Reno! When you take the train your vacation starts the minute you board! This is such a fun and different thing to do. It truly does not get any better than this! Picture a train, travelling through the beautiful Sierra Nevada mountains. Aboard the Fun Train you have the freedom to sit back, relax and enjoy the ride or make it a party!